Let’s pivot a bit, shall we? I wanted to take some time to talk about community. I know it seems a bit odd a topic to discuss on a blog that focuses on 360 filmmaking, but stick with me… I assure you it’s relevant. The past several weeks have been a whirlwind for me. Finding the time to Produce content, brainstorm, maintain the webpage, post regularly on social media, and attend industry-related events has proven itself a bit daunting to say the least. At the end of the day, however, there’s one theme that keeps making itself present and keeps me positive and looking ahead. You guessed it! Community. 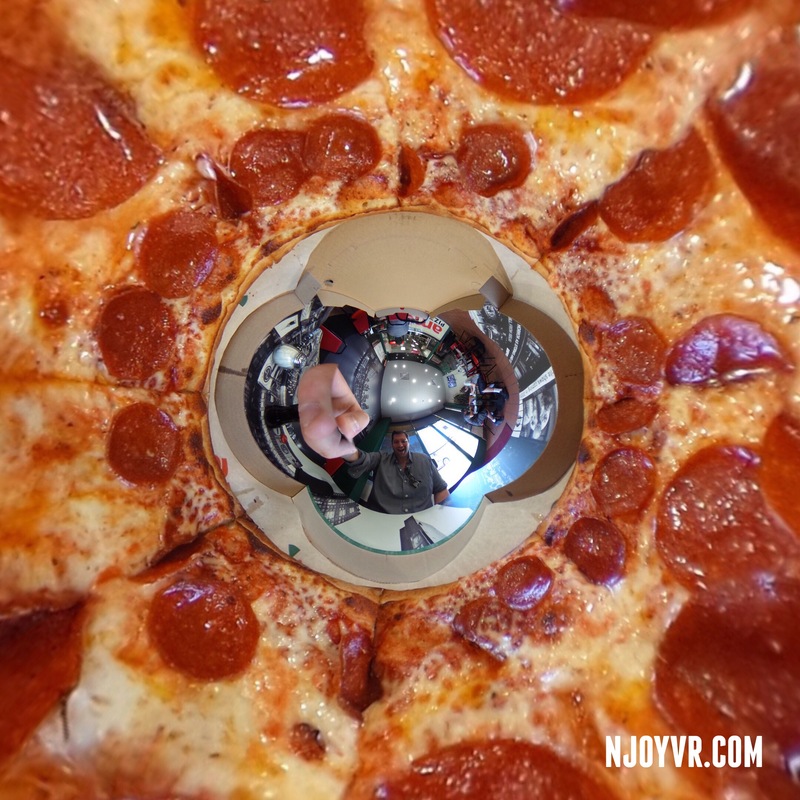 One of the main reasons I chose to make NJOYVR an active exploration and blog was because I wanted to demystify Virtual Reality and 360 Media for readers. Speaking from experience, I know that just hearing those words “Virtual Reality” (especially if you know little about the medium) can be a bit off-putting. It sounds time consuming, complicated, expensive, and most of all intimidating. I was fortunate enough to dabble a bit in my career before biting the bullet and buying my first 360 camera. Not everyone is so lucky. When I went to my first trade show to learn a bit more about VR, I was shocked to hear that people who were actively producing VR and 360 content professionally were perfectly willing to admit that THEY HAD NO IDEA WHAT THEY WERE DOING! …and the more I delved into this, the more professionals I found who were quite candid about figuring all this out as they went along. They were learning, too. They were just like me. Maybe they had a better connection in the industry or maybe they just got off their butts and just made something, but this was a turning point for me. I suddenly saw beauty in the unknown. I didn’t have to have all the answers laid out for me to get the job done. Perhaps it was time for me to just “make stuff” and embrace my failures as a learning experience. Thus, NJOYVR was born… and I have my VR/360 community of peers to thank. So I jumped in head first. I organized my ideas and I started creating. Content, Web Page, Social Media, Logo… I started chipping away at them, one by one, until I had a blueprint of something I could be proud of. This brings me to my next community. The Support System. I’m fortunate to have family that identified my passion and supported my cultivation of it. Time, goal setting, resource management, and a plethora creativity all came from family and close friends. No man is, in fact, an island. What’s more… I made the acquaintance of another Producer who was doing very much the same thing I had in mind for NJOYVR. The only difference was that he was farther along in his development and he was doing a better job than I ever felt I could. …and instead of brushing off my questions, he was helpful and supportive. He knew that if we support one another, we all have a better chance at success. So, I’m thankful to be able to look around and see a bunch of encouraging, motivational individuals. That’s my support community. Finally, I wanted to discuss my local community. When trying to find inspiration for social media posts and when looking for my next 360 video project I needn’t look any further than my backyard (or city, in the slightly broader connotation). So, my social media posts are starting to get some attention now and I’m seeing love thrown my way from local businesses on Instagram, Twitter, Facebook, etc. I really dig my city and supporting the community and local businesses (as I would want to be supported) seemed like a fantastic way to practice my craft, give back, and maybe get some attention directed to NJOYVR as a result. I’ve been having a lot of fun lately posting “tiny planet” photos to my feeds and seeing the reception they get. It’s new to most folks and, when people see these types of images, they’re often left flipping through their Instagram filters trying to figure out which one makes it look like that. Now, I’m actually looking forward to seeing who throws me some love on social media next. First is was the local pizza kitchen… Next, the local brewery. Needless to say… their support is well received and much appreciated. I look forward to contributing some likes back at them. If I’m lucky, It will bring some attention (and hopefully, business) their way. My local community is my muse. Each of these three communities have been both warm and welcoming to me and my journey. I’d challenge anyone out there reading this to embrace your own communities and sound off with your experiences below. Until next time… Keep it real in the Virtual. But most of all, NJOYVR.